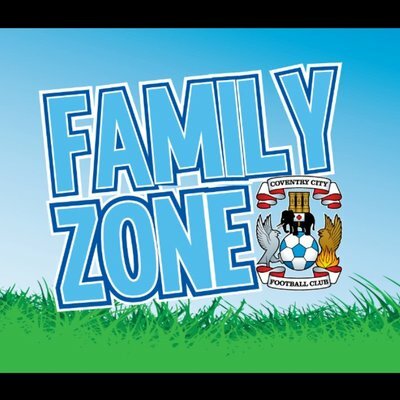 Remember the Coventry City V Sunderland game has a 12.30pm kick off time and the Family Zone will be kicking off early too. We will be open from 11am until 12noon with all of your favourite activities and new ones too. Arts and Crafts – we have lots of new resources for you. Our bunting is growing longer and it is all down to our fans and players. If you haven’t created your masterpiece yet please come and find us. Registrations – this week some of you will be collecting your first badge of the season. Make sure you register at every game so you don’t miss out. Sam’s Post Box – we have lots of replies for you to collect if you have written to Sam or players or manager recently. JSB Gifts – just bring along the voucher out of your Membership Pack and collect your gift from us. Table football, Connect 4, table pool, Jenga, Subbutteo, car track are all available free of charge. Why not visit our Tuck Shop? Lots of goodies and drinks ranging from 5p-60p, plus Family Zone badges for a pound. Dug Out Draw – the winner/s will be announced at 11.40am. The Volunteer team would ask fans to be respectful of other fans who wish to go to the dug out. If you have won or been in a group that has gone down, please DO NOT enter again until the draw becomes “open to all” again later in the season. We want as many fans as possible to enjoy the experience. We are delighted that the draw, this season, is sponsored by Peek-a-Bootique. Glitter tattoos are back and free. A raffle for an autographed football and other CCFC signed items, plus biscuits and chocolates too. It is 25p per ticket and will be drawn at 11.45am. 11.10am (approx) Visits from current players, the CCFPA Guest of the Day and Sky Blue Sam. 11.40am Dug Out Draw takes place. 11.45am Raffle will be drawn.